At first, it’s as simple as making sure that line and rod weight match. After awhile, you appreciate that taper and type are more than fine points of friendly conversation among seasoned anglers. Still, those neatly hung boxes in the tackle shop don’t spell out where, when and why their contents will be the most effective. How hard can it be to choose the right line? As dedicated Alaskan fly fishermen, we feel your confusion, so let’s untangle your line options. Delivering a fly precisely where you want it depends on your line. Experience, location and wind play a large role too, but let’s give Cortland Line Company a little credit. This outfit liberated dry fly anglers from oiled silk lines back in 1953 with their Cortland 333 HT. With its braided nylon core, tapered design and synthetic finish, the revolutionary line quickly caught on with grateful fly fishermen. We also tip our fly rods to Scientific Anglers founder Leon P. Martuch. By the mid-1960s, he figured out how to produce straight braided line with a tapered overlay, and that inside-out thinking led to the wide range of options that lure us into tackle shops today. The idea of a tapered line seems innocent enough. A weight forward line proportionally tapers to a thicker end while a double taper centers line weight. So, how can we be confused by just two types of line tapering? Credit again goes to fly line companies that really just want to give us the best fly fishing experience possible. Seemingly endless configurations range from heavy weight forward designs that put bulk in the last 20 feet for power to double tapers that put delicate finesse in your presentation. Depending on the taper, you can gracefully cover distance or carefully cast to spooky fish. When it comes to tapers, our cups pretty much run over with options. Again, the choices start out simple with three types of line. 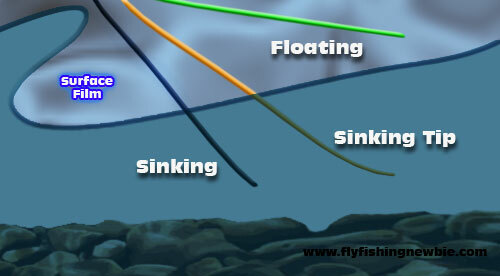 Floating lines offer versatility, sinking lines target depth, and sink-tips put streamers on the bottom. Things get a little more complicated when you consider line type and taper combinations. 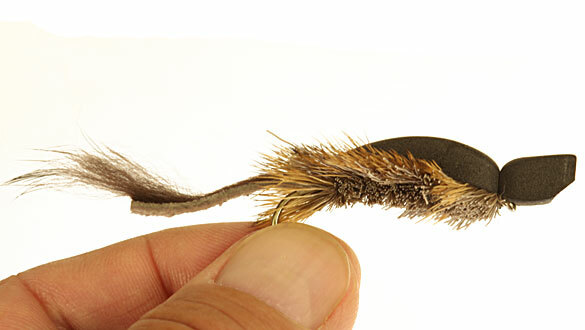 With a double taper or weight forward floating line, you can spend a day on the river switching between nymphs and dry flies. Sinking lines are assigned rates that indicate how quickly they settle by inch per second, and that makes them a good choice for lake fishing. 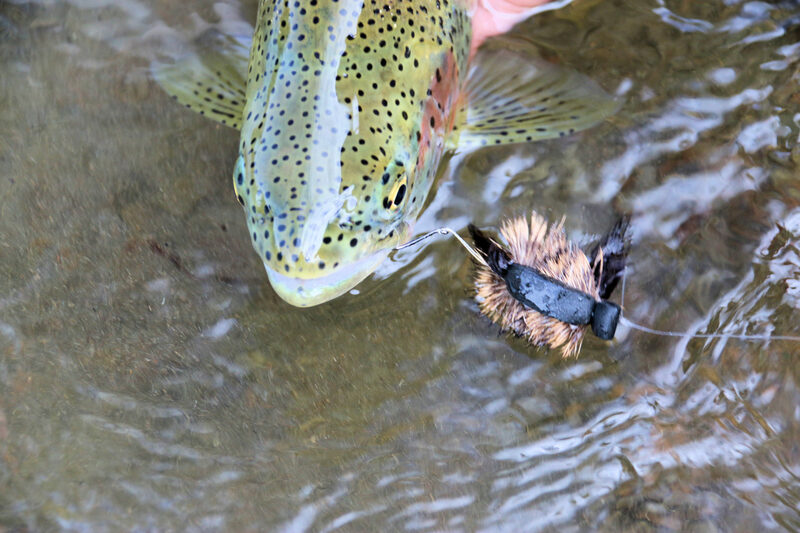 Sink-tip fly lines combine float and sink design, so they’re naturals for streamers in rivers and lakes, and they put extra power in your cast. Is There a Code for All That? We really do appreciate fly fishing line options, and we’ve figured out a way to minimize confusion at the tackle shop. Take a look at the code printed on that new box of line. The series of letters and numbers separated by dashes actually makes sense. The first part of the code tells you about the taper. WF and DT are simply weight forward and double taper. This is followed by a number that gives you line weight, and the last letter tells you line type. Yes, F means float, and S means sink. Sink tip line is coded as F/S, and an I indicates an intermediate sinking line. That’s it. You now own the code that untangles a lot of line-purchasing confusion. 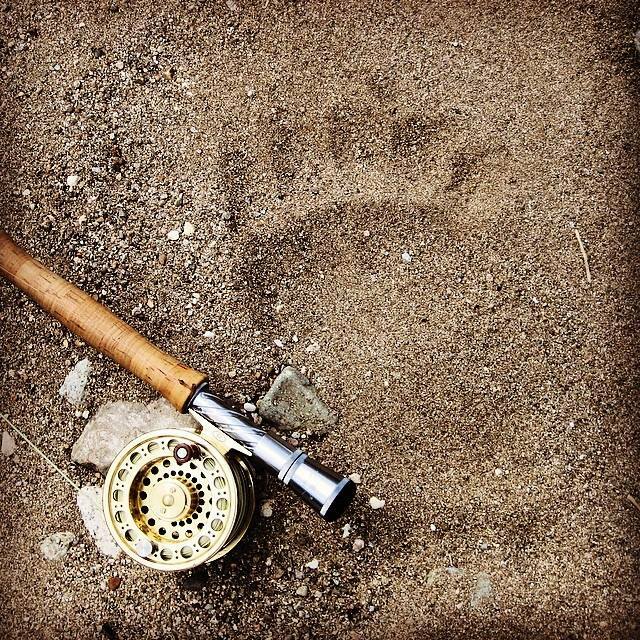 Like most everything else about fly fishing up here in Alaska, line choice depends on what kind of fish you’re after. We’ll play it safe, and recommend a quality, weight forward floating line for just about everything. No, that’s not radical advice, but it’s a good place to start a friendly conversation around the Main Lodge fireplace. Bring your confusion, or bring your expertise, but come join us at No See Um Lodge soon. We’ll save you a place here on the high banks of the Kvichak River.